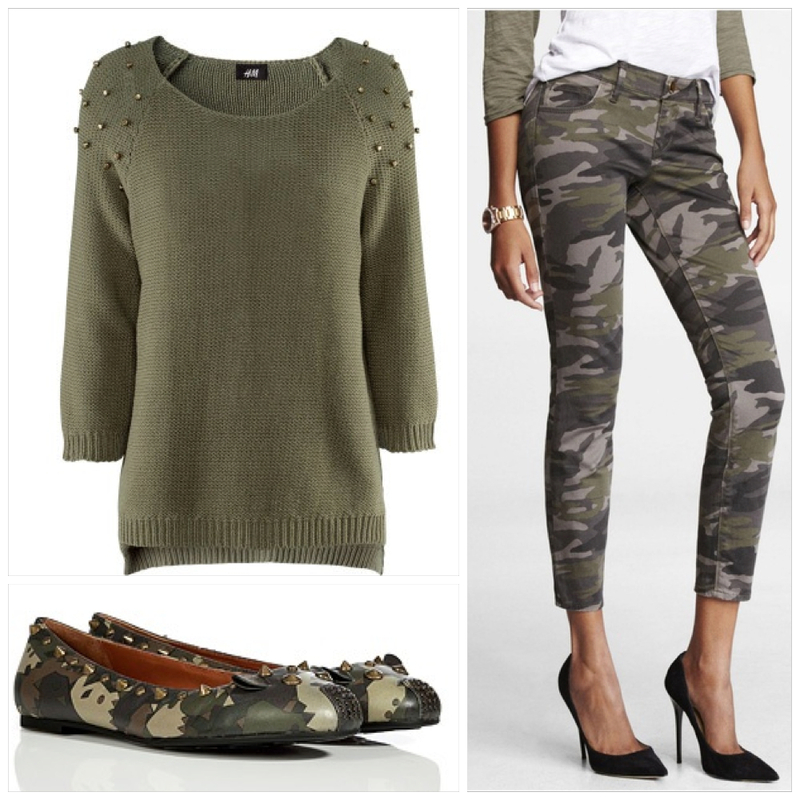 A camouflage jacket or jeans; you can style it anyway you like. 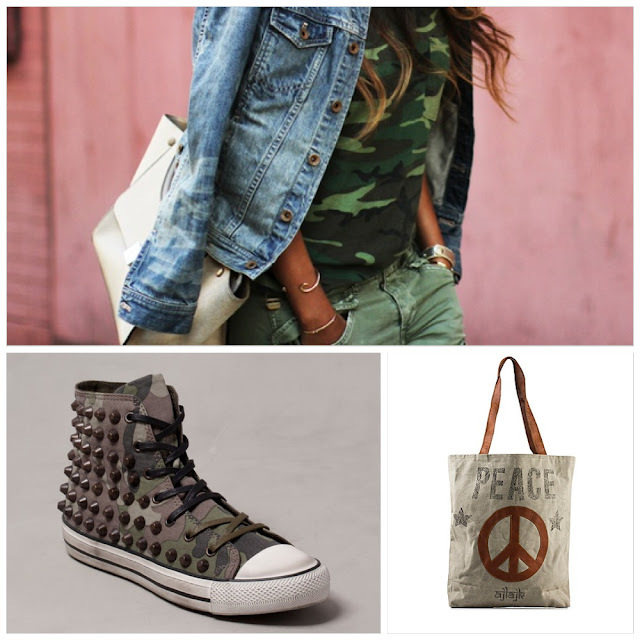 Classy or casual, with high heels or sneakers, it always looks good. 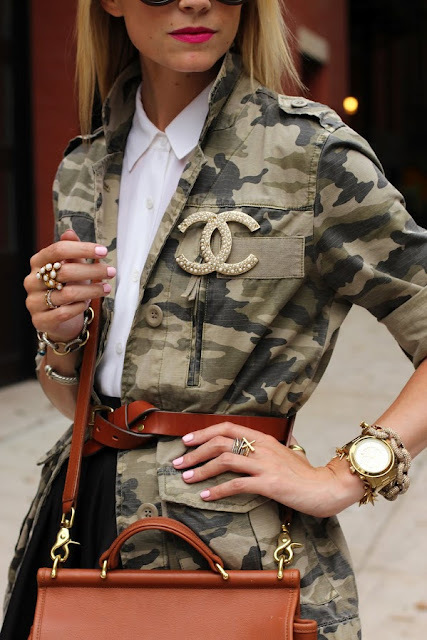 Just have a look at these pictures I collected and get inspired for your camo-look! Love the bracelets and the combination of the neon colors with the outfits.